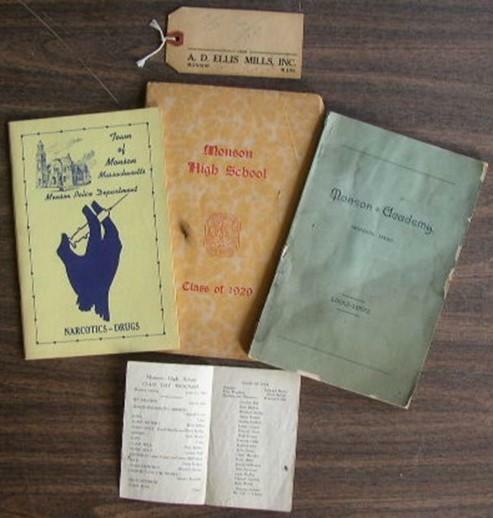 Collection - Monson Historical Society, Inc. 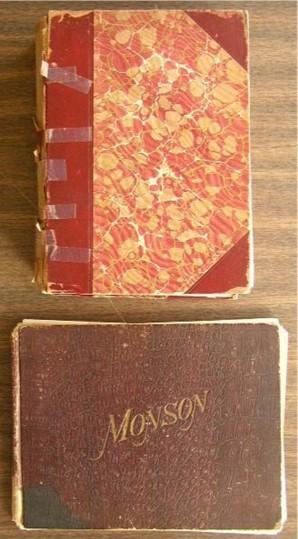 The Monson Historical Society is always looking to obtain items that relate to the history of Monson. 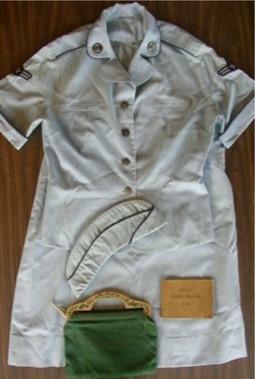 These items can be from long ago or more recently. These could be things like: photographs, diaries/letters, ledgers/store records, account books, signs, original home movies, Monson organization memorabilia, Monson participation in the military, store give-aways/promotions, trading cards, postcards, items made in Monson, etc. A sample of items that may be donated are shown below.